Are you looking for a cuddly bathroom rug or a cuddly bath mat for your bathroom? Then you are exactly right at Casa Padrino! 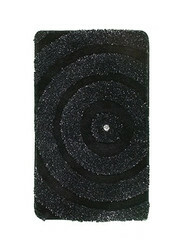 All bath rugs and bath mats from our range promise the highest quality in terms of material, workmanship and design. Spoil yourself with these extraordinary home accessories and enjoy a touch of luxury in your bathroom. The fluffy and very soft pile of our mats not only looks good, but also does you and your feet well. Some of the bath mats have a non-slip layer on the back for a secure stand. Have a look at our wide selection of bath rugs and bath mats. You will be amazed by our diversity! If you have questions or special requests regarding our offers, please call us on the hotline + 49-201-36577485 and our qualified support will help you in every detail! Casa Padrino, your baroque wholesaler on the internet and on site. Just magical. Our entire baroque, antique, rustic or luxury bathroom collection is also ideal for hotels, boutiques, shops, clubs, cafés and restaurant outlets.